This presents a very tempting target for the the enemies of Israel to come and try to take it. At issue is the recent discovery of huge untapped natural gas fields in the Levant Basin, the section of the eastern Mediterranean Sea that abuts Israel to the East, and Cyprus to the North. The U.S. Geological Survey estimates that this underwater area holds 123 trillion cubic feet of recoverable natural gas. In simpler terms: That’s equal to 20 billion barrels of oil, more than twenty times what the United States maintains in its Strategic Petroleum Reserve. Through “exclusive economic zones” finalized under prevailing laws of the sea, Israel and Cyprus have laid internationally recognized claims to these fields, which analysts suggest could be worth $130 billion to the Israeli economy. This is why in February, Benjamin Netanyahu became the first Israeli prime minister ever to visit Cyprus, and why the two nations have inked a number of unprecedented pacts with each other. 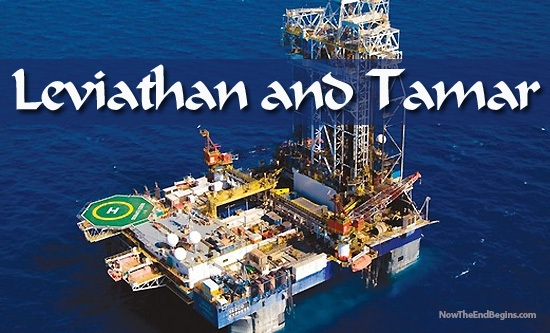 Led by Texas-based Noble Energy, the Israelis have already identified two gas fields south of Cyprus, code-named “Leviathan” and “Tamar,” that offer a combined 24 trillion cubic feet of recoverable gas. Talks are underway between Jerusalem and Nicosia to build underwater pipelines, refineries, air bases, and other critical infrastructure to facilitate — and protect — these ventures. If successful, they could serve not only to make the Jewish state energy-independent but allow it to become an energy exporter. This, in turn, would give Jerusalem increased clout over energy-hungry states like India and China. The latter, in particular, has repeatedly voted on the U.N. Security Council to protect Iran; but Beijing may be persuaded to abandon that stance if Israel becomes a significant supplier of Chinese gas imports. Turkey, which has historically clashed with Cyprus and has feuded with Jerusalem in recent years, has deployed warships to protect what it sees as its interests in the underwater gas fields; and Lebanon, backed by the terrorist group Hezbollah, has warned that the U.S. and Israel will not be permitted to “plunder” natural resources that Beirut, too, claims as its own. Finally, both Iran and Russia – which has surged over the last decade to become the world’s leading exporter of natural gas – have also taken note of the potential geopolitical shifts that these gas discoveries could bring about. It is, in short, a situation rife with both economic promise and the potential for military peril. “Iran, of course, as Israel’s implacable foe, will do all it can do to thwart any activity that allows Israel to become more secure, more prosperous, or remain viable as a sovereign state,” John Sitilides, a State Department advisor and lobbyist based in Washington, said. “And so we might see Iran, operating through proxies such as Hezbollah in Lebanon or Hamas in the Palestinian Authority’s Gaza Strip, [act] to deny Israel and Cyprus the ability to get that natural gas to market,” he added. While the U.S. generally sees Israeli energy independence as a desirable development for American security interests, the Obama administration has urged that Cyprus and Turkey initiate a “de-escalation of rhetoric and tension” to arrive at a resolution of the differing claims to the gas fields.